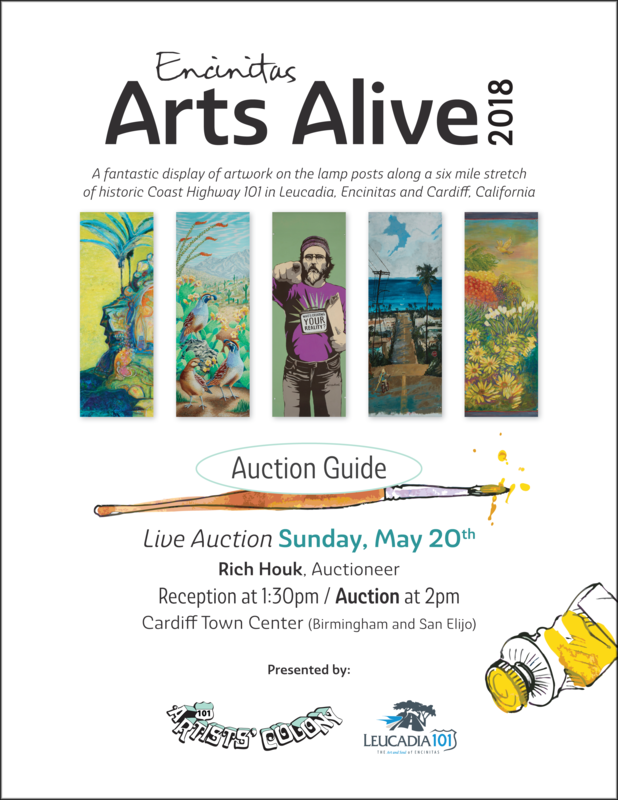 Each year, the signature activity and sole fundraising event of the 101 Artists’ Colony is to put on the Arts Alive Encinitas exhibit. In 2017, 99 artists painted original works of art, helping to create a fantastic display of color on the lamp posts along a 6 mile stretch of historic Coast Highway 101 in Leucadia, Encinitas and Cardiff-by-the-Sea, California. Thank you to the artists and to our sponsors for ensuring that our stretch of Coast Highway 101 is filled with color and fine art for months on end.